Molly began her teaching career at a child and youth psychiatric facility and discovered early on that children cannot learn if their social and emotional needs are not met. This experience cultivated her ability to listen for not only what is said but also what is not said, helping children identify and articulate their feelings. Molly comes to the SAGE Center with over twenty years experience as an educator, teaching all levels from preschool to college. She has a Bachelor’s degree in English Education from Bowling Green State University and a Master’s degree in English from the University of Northern Colorado. Whether teaching remedial reading, college composition, literature, or grammar, Molly seeks to create an emotionally safe environment for students to explore ideas, take risks, learn, and grow. After leaving the classroom to spend more time with her own two gifted kids, Molly was drawn to SAGE’s focus on the gifted population. She recognizes that each gifted child has a distinctive blend of strengths and challenges, and she is passionate about meeting the unique needs of each individual. Because gifted children are so multi-faceted, Molly appreciates SAGE’s multi-disciplinary team approach where a variety of experts share their perspectives of those facets, contributing to a holistic view of the individual. Molly is excited for the opportunity to help kids with incredible aptitude reach their true potential and to learn and grow alongside them. Ann has a Master's degree in Curriculum and Instruction with a concentration in Gifted Education through the University of Cincinnati. She completed her Bachelor's of Science in Elementary Education at the University of Illinois, Champaign-Urbana. From there, she taught for three years in a multi-age school in the Chicago suburb, Morton Grove. Ann currently holds a Colorado teaching license in elementary education. Ann taught grades 3/4 and 1/2 for three years in the Chicago area. During this time she worked with diverse students whose families came from all over the world, students who were English language learners, as well as students with special needs. This past spring Ann completed her practicum in a gifted Kindergarten classroom at Rick’s Center for Gifted Children, where she learned about the Reggio Emilia approach, which focuses on the integration of art and nature into discovery-based learning. Ann has also worked as a private tutor, nanny, and camp counselor, creating individualized social-emotional and academic learning experiences. In her free time, Ann enjoys skiing, hiking, trying new restaurants with her fiancée, wood burning, and playing with their two dogs at the park. However, Ann is most passionate about teaching and working with students with exceptional needs. She believes strongly in whole-child education – meeting the academic, social-emotional, and physical needs of the child. Annie Behrent comes to the SAGE Center with 8 years of experience teaching students with a variety of learning differences. After she received her BS in Psychology from the University of Colorado in 2007, Annie worked at a Wilderness Therapy Intervention program leading and teaching at-risk youth through the Smoky Mountains in North Carolina. This experience helped foster her passion for working with children who need an alternative approach to education. She earned her Special Education teaching license from the University of North Carolina, Greensboro and began teaching at a local public school. In 2010, Annie and her husband moved to Salt Lake City where she began teaching resource classes at a suburban high school, and soon after became the department chair of the Special Education Department. In 2011, she earned her Master’s Degree in Education, focusing on Instructional Design and culminating in a capstone research project about effective reading instruction for non-traditional students in secondary schools. Through her classroom and administrative background, Annie has developed a deep understanding of school systems and the importance of individualized learning experiences for students. From her time as a high school teacher, Annie has gained experience helping students prepare for college and career readiness, including the ACT, as well as other post-secondary transition services. She provides test-taking strategies that include enhancing vocabulary and reading comprehension to reducing test anxiety and other coping skills necessary during high stakes testing. She also has knowledge regarding services and resources for students transitioning from high school into adulthood. As a teacher, Annie's priority has always been to create an environment where students feel safe, comfortable, and excited to learn. Her classroom experience consists of teaching across all core subject areas and in a variety of classroom settings. She has taught in self-contained Special Ed classrooms, Resource classrooms, General Ed classrooms, and one-on-one grouping. Regardless of the setting, Annie's strength is in differentiation and scaffolding so that all students can access the material in a way that fits their learning style. She also has strong experience in developing accommodation strategies for students that allow them to participate in their least restrictive environment, while still feeling confident about their ability to learn the material. Annie's ability to differentiate and accommodate in a meaningful and effective way is essential for students with special needs as well as gifted children. Upon moving back to Colorado, she took the opportunity to explore her career options outside of a traditional school system so that she could find a way to hone in on her passions within education. Annie is excited to be a part of SAGE Center, where every student receives a deeply individualized and collaborative education plan that will help foster unique strengths and interests. Heather Groff comes to SAGE with over 13 years of experience working with gifted children. She has a Bachelor’s of Science in Interdisciplinary Studies with elementary licensure from Adams State University and a Master’s of Education in Gifted and Talented from Regis University. Her Master’s capstone project was the collaborative development of a summer camp for gifted children that is still a popular destination for students in Jefferson County. Heather’s journey as a teacher began as an educational assistant at a private school for gifted children. She related well to the academic and social-emotional needs of this special population, as it reminded her of her own childhood. After taking time off to be at home with her two children, Heather returned to that same private school to teach a 1st and 2nd grade combined classroom of gifted students. Many of these children were twice exceptional and sought an environment where all their needs would be met and their differences celebrated. As a current Gifted and Talented Facilitator in Douglas County School District, she serves as a leader and mentor for other GT Facilitators and teachers. Heather has become a resource in the district for early childhood and primary gifted support. As an educator, Heather’s strengths are rooted in an understanding of the abilities and needs of gifted learners, differentiation of all content areas, and collaboration with students, parents, and teachers to create the best environments for children to blossom. She is able to connect with her students quickly, value who they are, and recognize where they are in their journey. As a mother of two gifted children, Heather also believes in advocating and supporting education from the parent lens. She has devoted the past ten years to participating on the board of Jefferson County Association for Gifted Children (JAGC) to support parents, students, and teachers, of gifted children as they make their way on this adventure. Outside of the educational and advocacy part of her life, Heather enjoys camping, reading and playing games with her family. She and her husband have recently discovered the joy of baking together. Louisa Harris is our outstanding Math Specialist at SAGE Center! Louisa has an M.A. in Mathematics from CU Boulder, and has taken doctoral-level courses in Mathematics Education, also at CU Boulder. She has been teaching math since 2006, first as a graduate student, and then as an instructor for math departments as well as the Continuing Education program at CU. Her goal as a teacher is to help students pursue an interest in mathematics, to help children gain confidence in their math abilities, and to discover how amazing math can really be! She believes math is a social activity, not an isolated endeavor, and that we all do math everyday without even noticing it! Louisa has a particular passion and expertise in inspiring girls in mathematics and will be a phenomenal role model and teacher to our girls at SAGE! We are so fortunate to have a passionate, competent, and gently supportive math specialist for all our children at SAGE who may need support in math. Louisa shares, "I joined the SAGE Center because its vision for honoring students in a holistic way deeply resonates with me. I want to share my passion and expertise in math to encourage and inspire students of all ages to gain confidence, be successful, and have fun while doing math." 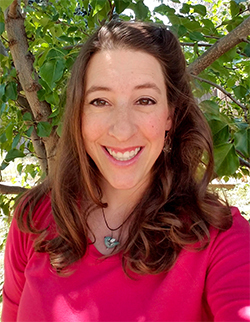 Mary Ethel Kellogg is a Learning Specialist, who joins SAGE Center for Gifted from Running River School in Boulder. Her experience in Montessori, Waldorf, and nature-based learning methods is a wonderful complement to the scope of services that SAGE offers our gifted and twice-gifted students. Mary has a Masters in Education and Endorsement Reading and a Bachelor of Arts in Special Education, Certification in Regular Education K-12, both from Gonzaga University in Spokane, WA where she also was an Adjunct Instructor in the Department of Special Education/Teacher Education. Mary holds a National Board Certification in Early Childhood through Adult/Exceptional Needs Specialist. Mary brings “a magical ability to call-forth the author of one’s own unique talents.” A grateful parent shared that her son “…has excellent reading comprehension and is very smart, but he also has dysgraphia, sensory processing disorder, slow processing for most input, and auditory processing disorder (in a nutshell). He was having a very hard time staying interested in class and paying attention, and would completely check out when any writing was necessary. After just a few months of working with Mary he had a whole new process for putting his thoughts down in pictures and then writing them (either with voice dictation, dictating to Mary or writing himself), and he actually told us he now enjoyed writing.” Mary states that she will always continue in this calling to help children find their full potential. SAGE Center warmly welcomes Mary and we look forward to adding her exceptional skills sets and training in the fields of Special Education, Reading and Learning Differences, as well as Gifted Education to our exceptional faculty array. Abby Koehler joins SAGE Center for Gifted with over ten years of gifted teaching experience. Her classroom experience includes five years as an elementary gifted teacher, one year as a gifted pull-out teacher, and one year as a teacher for twice-exceptional students. As an artist, singer, actor, and story-teller, she is a deeply creative individual who strives to integrate experiential and aesthetic learning into every facet of her instruction. Abby’s eagerness to expand her professional and personal growth prompted her to seek a position of Educational Therapist within the SAGE community. She values the whole-child approach the SAGE Center takes towards reaching each individual. Abby earned a Bachelor of Science degree in Human Development & Family Studies from Colorado State University (CSU) and a Master of Arts degree in Curriculum & Instruction from the University of Denver (DU). Her graduate degree focused on Aesthetics in Education, or as Abby describes it, “teaching through the arts”. The pure enjoyment and accessibility that art brings to the learning environment can open doors to new and exciting worlds for students. As a licensed K-6 teacher she has witnessed the transformational power art and creativity has in bringing life to education. Abby’s success as an educator comes from her genuine interest in the lives of each child. Developing relationships with each student and family allows Abby to better understand his or her strengths, areas for growth, and interests on a personal level. These connections are strengthened through her playfulness, enthusiasm, creativity, and passion for the arts. The result is students who are excited, engaged and invested in learning. Abby is excited to work with a talented team of like-minded educators and professionals who understand the complexities of giftedness and honor these extraordinary individuals to thrive in the world! Christina is honored to join the SAGE community and highly values its child-centered approach to learning and development. She has taught middle and high school students for nearly 15 years in a variety of settings ranging from private schools to under-served populations. Her experience with alternative education, reading and writing intervention, gifted children, and second language learners have taught her the importance of individualized learning experiences for students. Each child is a unique blend and their learning styles and accomplishments should be celebrated in order to stimulate motivation, build confidence and facilitate their growth. Her greatest teaching passion is to inspire students to become successful learners by helping them to identify their strengths and learning styles. Building strong relationships with children is paramount and creates an academic environment with connection and emotional understanding. Understanding a student’s unique strengths, interests and learning styles allows Christina to modify and accommodate a learning goal meaningfully and effectively. She inspires with young adult literature and has an expertise in supporting struggling readers with material that both engages their personal interests while pushing their reading abilities. Christina graduated with a B.A. in English Literature from DePauw University. She enrolled in a M.A. education program at the University of Colorado at Denver and was trained as a secondary language arts teacher. She has training and experience in whole-child methods, restorative justice techniques, project-based learning, reading and writing intervention, second language learners, twice-exceptional learners, International Baccalaureate methods and experiential learning. Christina lives in Lakewood with her husband, Aron, and her two small children, Lucas and Elise. They enjoy spending their weekends exploring the mountains and playing with their two doggies. Through her flexible work opportunities at SAGE, she is grateful to be able to nurture her children and her role as mother, and also contribute to her professional calling as an exceptional educator. We warmly welcome Christina to our SAGE Faculty! Debbie holds a Bachelor’s degree (1991) with a major in Biology and minor in Chemistry. She continued on to earn Master’s degree from the University of Colorado (1993) where her major was Secondary Education with an emphasis in Secondary Science. She is a master teacher, nationally board certified in Biology (2004 to present) from the University of Phoenix, a Google certified teacher, and she has taught at the college level. Debbie has a Master’s Degree in Technology and Administration and has worked as an instructor for adults wishing to become a principal. Along with extensive science teaching, Debbie has also been involved with the AVID program for twenty years. The methodologies provided as a framework for this program help to ensure every student’s success. A major component in AVID is the tutorial where students are able to write down their academic questions, ask additional questions and summarize their learning – all of which are exceptional academic techniques for learners. When working with students Debbie coordinates their strengths with powerful techniques to enhance their learning, such as, determining how a student learns best, identifying situations that allow a student to feel comfortable, and empowering a student to understand. Debbie’s first passion is love of the scientific world. “It allows me to continually question and seek new information. It allows me to integrate the knowledge of our past with the limitless boundaries of our future. Our wealth of knowledge is growing exponentially and it’s a challenge to integrate this within the classroom. As my passion for the biological and chemical sciences has developed … science has provided me with many opportunities in which to influence the minds of tomorrow”. SAGE Center welcomes a remarkable science and math teacher to our faculty. We extend our warmest welcome to you Deb! A science and math teacher with a keen mind and deeply compassionate heart! Sara joins SAGE Center for Gifted with over 15 years of experience working with children from different backgrounds with diverse educational needs, including giftedness and other learning differences, in a variety of settings. Following her graduation from the University of North Dakota with a Bachelor of Science degree in Elementary Education, she worked as a teacher in a Pre-K Autism class in Naples, Florida. She moved to Arizona the following summer where she taught second and first grades, respectively, in Chandler. 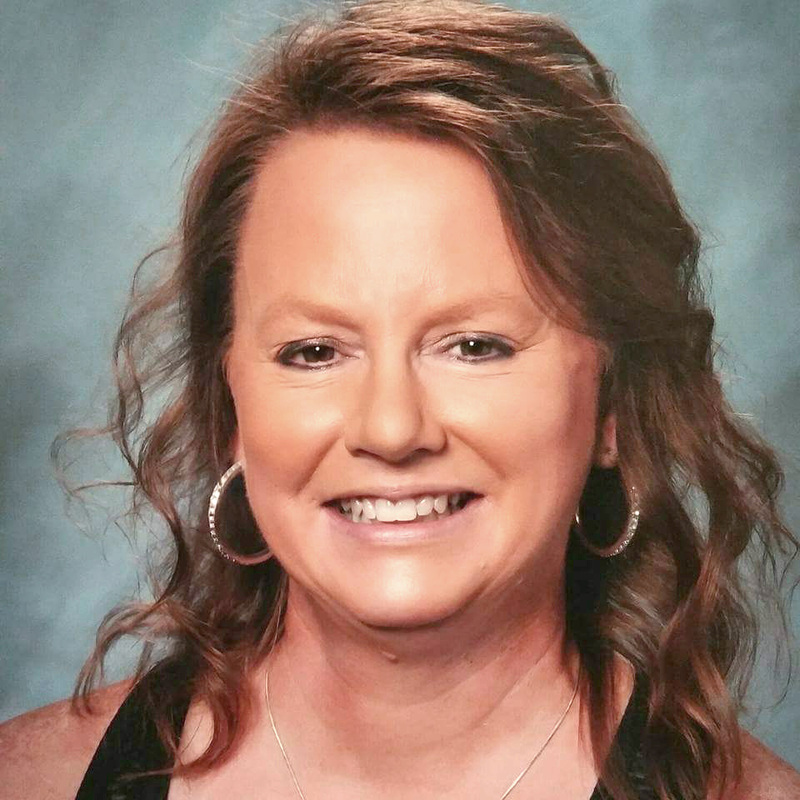 In the spring of 2006, she welcomed her son and took a few months off before going back to the classroom as a substitute teacher in Brandon, SD. Her final move brought her to Colorado where she began working at Christ Lutheran Church Preschool in Highlands Ranch as a Pre-K teacher and assistant director. While at Christ Lutheran Church Preschool, she was given the opportunity to develop and teach a kindergarten program, which she taught for three years before becoming assistant director full time. Sara will complete her Master of Education degree in Reading from Regis University this December. The coursework from this program has provided her with exceptional experience and knowledge pertaining to best practices for gifted and twice-exceptional learners that coincides with the holistic philosophy of SAGE. Her personal educational philosophy centers on meeting the unique academic, social, emotional, and physical needs of individual learners through a flexible, multi-sensory approach that emphasizes the individual’s strengths and interests. Holistic learning at SAGE Center emphasizes the cognitive, affective, and regulatory domains in a child-centered approach that coincides with Sara’s personality, teaching style, and philosophy. Sara’s interests include reading, playing poker, photography, camping, learning new hobbies, going to musicals and concerts, and watching sports. Though most of her time outside of work is spent at her son’s various sports activities, she also enjoys spending time with her two dogs and being at the lake with family and friends! Laura Thompson-Beato joins SAGE Center for Gifted with 17 years experience teaching gifted students. She has recently retired from 29 years of teaching K-8th grades, including middle school English, math, and especially science. She was instrumental in designing and implementing the gifted center program at Evergreen Middle School in 2006, which grew from 25 students to over 150 within three years. Laura designed and implemented a gifted electives class on learning styles as well as creating a week long, overnight “Wildlife Forensics” camp for gifted rising 7th graders. As a result of this work, she was awarded the Colorado Association of Gifted and Talented “Gifted Teacher of the Year” award in 2010. Laura was also awarded the prestigious Milken Foundation National Educator award in 2000 when she was presented $25,000 and a star-studded trip to an education gala in Los Angeles. Laura’s education started at Miami of Ohio, where she earned a Bachelor’s degree in Elementary Education, and later earned a Master’s in education, with a focus on science from the University of Colorado. Her credentials include holding a gifted teaching endorsement from the state of Colorado (2009) and a certificate in gifted education from the University of Denver (2005). Add to these accomplishments countless hours of gifted training with Jefferson County Schools, and a yearlong training in gifted reading with Joseph Renzulli through the University of Connecticut (2008). Laura fell in love with working with gifted students in 2001 when she started teaching in the Jefferson County Schools gifted center at Devinny Elementary. To share her passion for gifted children, Laura has also presented at several conferences in Colorado. Laura has experienced the gifted child from all sides, as she also has two highly gifted teenagers of her own at home. They have been in the Jefferson County School’s gifted program since first grade, and are now taking advantage of AP classes and concurrent enrollment in college classes in high school. This gives her insight into the gifted child from a holistic perspective, not just the intellectual piece. She has been in the parenting trenches with the overexcitabilities, debilitating perfectionism, focus on justice and the sense of humor that often accompanies the gifted label. One of the best things about working with gifted children is the intellectual and emotional diversity that can be found in this population. One of her favorite quotes about gifted kids is, “you’ve met one gifted kid, and you’ve met ONE gifted kid.” Laura is thrilled to have found SAGE Center, an oasis for gifted young people. Laura states, “What has attracted me most to SAGE is the focus on strength-based work with students. It’s crucial, when working with gifted students to focus on their interests and their strengths rather than spending too much time on deficits. A well-crafted lesson with students will help them create the need to improve their deficits in order to follow their passions.” Laura is over the moon about finding SAGE where she can continue to follow her passion and strengths, working with gifted children. Laura also loves hiking, aerial yoga, skiing, volunteering in the community, comedy, and travel. Kim’s professional talents are rooted in communication and teaching. 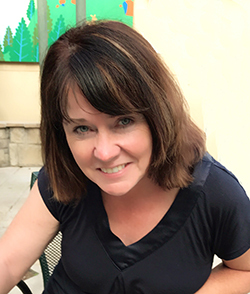 As Secondary English instructor of Literary Analysis and Creative Writing, Kim worked to cultivate students’ ability to write in a formal structured style, analyzing evidence quality, proving a claim, and enhancing writing through organizational models and drafting feedback. During her years of teaching at D’Evelyn Junior/Senior High School near Lakewood, CO, Kim worked as a Professional Notetaker and tutor for a special needs student in 2009-2012; and from 2014 to 2017 as an English teacher in grades 7-9 where they experienced nearly 80% growth in writing scores for fall of 2017. Kim brings another gift – the meditative martial art of T’ai Chi Chuan, which has been her daily practice since 2001. One of the particular ways her personal practice informs her teaching practice is in integrating breathing techniques to benefit students who experience test anxiety and to support trauma victims in the healing process.